After a bit of a break last week, we now return to the Cave of Trials! Skull Kid’s luck finally ran out, as he went up against a competitor he finally couldn’t overcome. 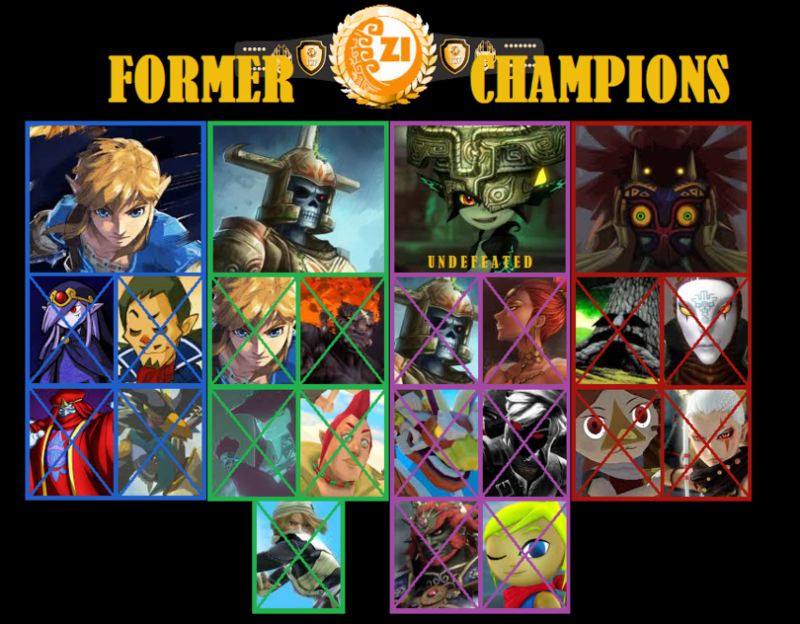 After squeaking out narrow wins the last few weeks, the Zora Champion Mipha edged out Kid this week to take the Zelda Dungeon Championship. 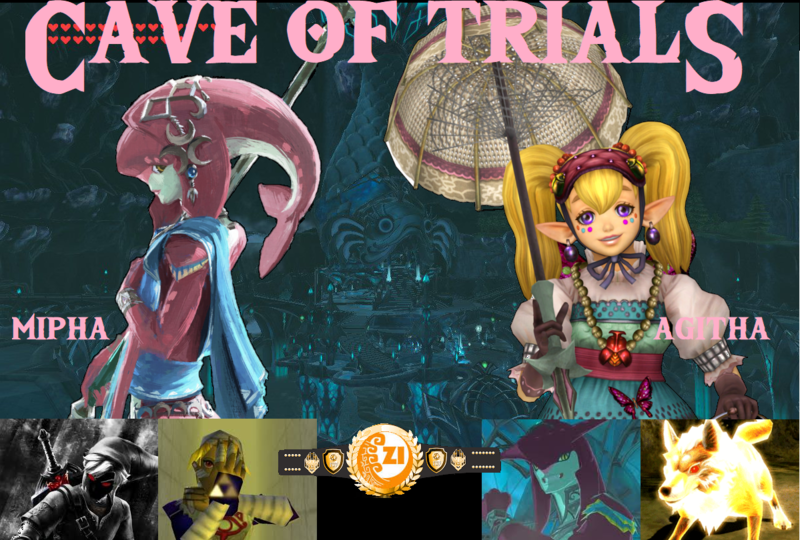 Proving that there are no weeks off in the Cave, Mipha is diving right into the deep end for her first title defense against the self proclaimed Queen of Bugs, Agitha. Zora Champion or Bug Princess? You decide! We also have the matches from our Royal Rumble Redemption qualifier. The winners of these two matches will BOTH go on to face the Champion next week in Cave of Trail’s first triple threat match up! Who will be in? Let’s find out! Make sure to stay tuned to the Cave, as we have something special planned for Week 25 and some… interesting challengers coming down the pipe! See you then!